Haste — Academic Housing Rentals Inc. 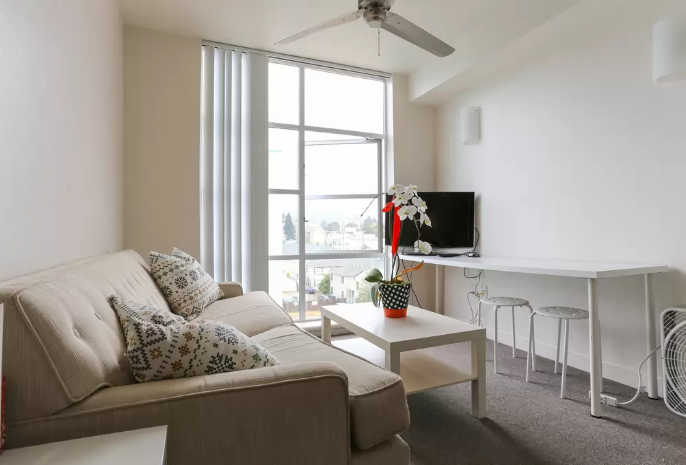 This 2 bedroom apartment with 5 beds is located in a luxury building near the UC Berkeley campus. In the heart of the downtown Berkeley placing you walking distance from shopping, theatres, groceries, and restaurants. The first bedroom has two (2) full-sized beds, the second bedroom has three (3) twin beds - a bunk bed with a pull-out, and the living room has a sofabed. Located in a luxury building, this modern and furnished 2-bedroom apartment with 5 beds and one sofabed. 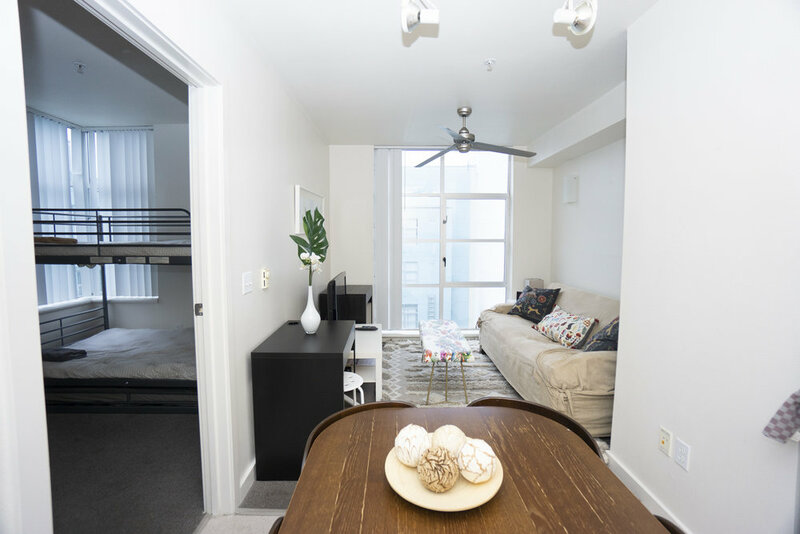 The apartment design offers modern furniture, upscale features with custom finishings. 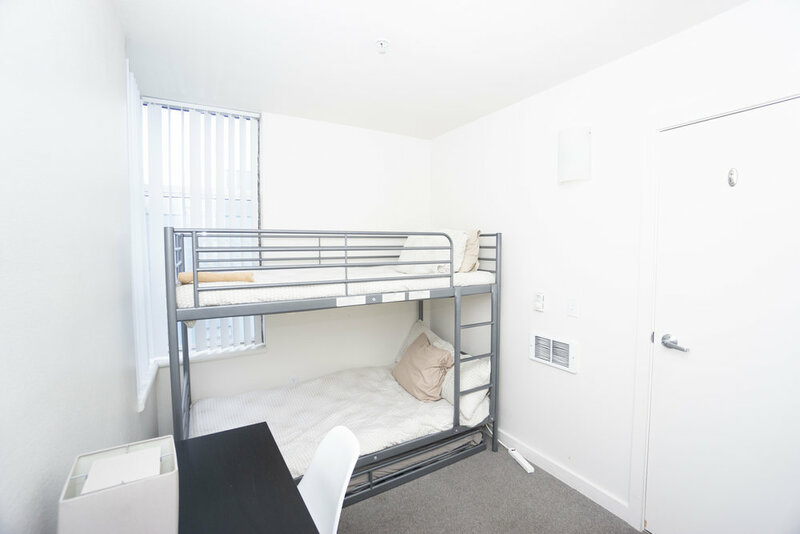 The apartment is minutes away from UC Berkeley campus and Downtown Berkeley Bart. 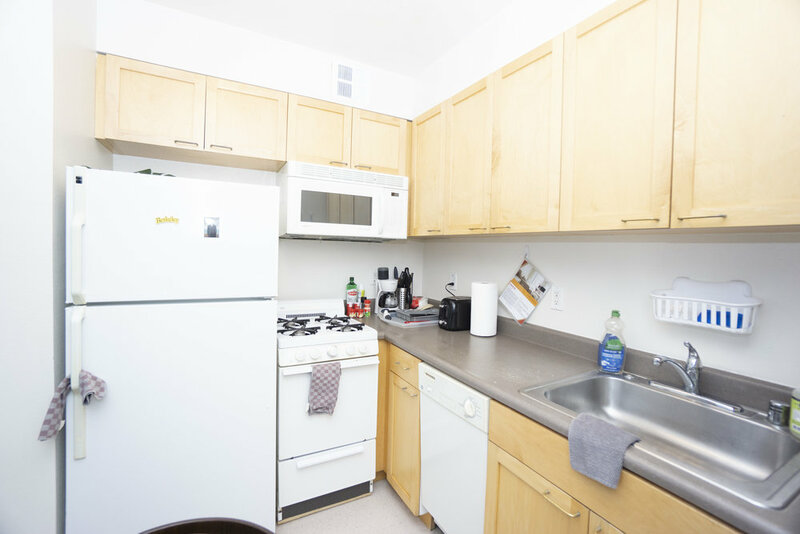 Plus shopping, restaurants, groceries are walking distance! The first bedroom has on two (2) twin-sized bunk-beds and one (1) pull out bed. The second bedroom has two (2) full-sized bunk-beds. The living room has a sofa-bed (which converts into a full-sized bed) with a tempurpedic mattress. One private room has two twin-sized beds (bunk-bed) with a pull-out twin bed. Another private room has two full-sized beds (bunk-bed). The Sofabed in the living room has a full size tempurpedic mattress. Located in arguably the best part of Berkeley. It is in the heart downtown Berkeley where you can shop, go to the theater, one block from UC Berkeley campus, and hop on the BART to visit San Francisco and other parts of the Bay Area. Relax on the rooftop deck and enjoy the best views of the Bay Area. Within a five minutes to Downtown Berkeley Bart Station, the address is a walker's paradise as daily errands do not require a car.